Just days after receiving and setting up my shiny new laptop computer, I encountered an annoying problem. Suddenly, my homepage was no longer Google. It had seemingly spontaneously changed to something called Snap.Do. It looked similar to Google’s homepage, but with a weird sideways squiggle in the same colors as Google’s logo. At the same time, I started experiencing problems with my flash player. Snap.Do is published by a company called ReSoft. ReSoft purports itself to be reputable, claiming that Snap.Do is a browser tool for simpler, more efficient web browsing. In reality, it’s part of a sneaky package that will track and use your information. It’s basically a browser hijacker inundated with malware and spyware. It will change your internet settings, collect personal information and work with adware. Some people buy the ReSoft corporate line and willingly register with Snap.Do, while other users are involuntarily infected by it. It affects Mozilla Firefox, Google Chrome and Internet Explorer. Do not intentionally install Snap.Do! It is completely unsafe. If you’ve experienced a hijacking by Snap.Do, you’ll want to immediately remove it from your computer. You’ll want to go to your control panel and uninstall it. Also, go to your browser settings and delete any search engines related to Snap.Do or ReSoft. Here is a more comprehensive article about Snap.Do and how to completely remove it. If you want to buy gift cards for friends or family, the safest way to do it is to purchase them in-store. Scammers will sell them online from legitimate-looking websites or third-party sites at “discounts” or with special promotions. After you buy them, they’ll cancel the card and keep your money. While doing your holiday traveling, you may use free public WiFi connections to browse the web. But scammers can set up a fake WiFi connection that closely resembles a free public connection. To avoid having important information stolen, never make sensitive transactions when you’re using public WiFi. While many smartphone users take extreme care to protect their computers from malware and viruses, the same can’t be said for their smartphones. 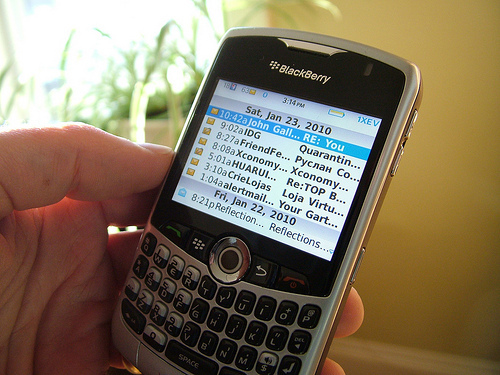 Many users think of their phones as a mini computer, but still fail to take the proper precautions for protection. With the latest round of malware affecting Android smartphones, it’s plain to see that something needs to be done. Let’s take a closer look at the latest threats as well as how to protect your smartphone. Two malware scams have recently came to the forefront and it seems the attacks are being targeted at Android smartphones. Named Loozfon and FinFisher, these threats can not only affect your phone, but may affect the phones of your contacts as well. The first piece of malware in question, Loozfon, uses the promise of online work from home jobs to lure smartphone users to the website, where the malware is loaded onto the phone. The malware then accesses the information of the user’s contacts and the user. FinFisher is a bit different in that the spyware is installed onto the phone in order for the attacker to be able to remotely control the phone. The malware may be placed on the phone after visiting a certain website or the user may receive a text message with a link that leads to a supposedly important update. Of course, both of these scams are just two of the newest malware scams to affect smartphone users. There are many more out there waiting for the opportunity to infect your phone. Business travelers won’t leave home without it. Families take it with them like they would a wallet. What is it? 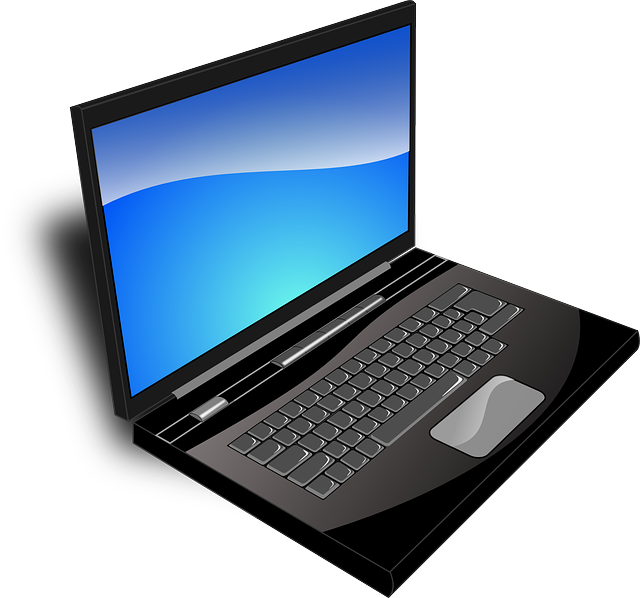 It’s a laptop (netbook, tablet, or even an iPad.). There are many reasons for taking it with us when we travel. For some it’s staying on top of work and being available to at least respond to emergencies. For many they can’t leave home or work without it. Carrying our laptop, just like carrying our wallet comes with it’s own set of dangers. While visiting my father he asked me to take a look at his laptop. Ever since they went on vacation it just hadn’t “worked right.” I asked him if he had his antivirus on “high” and did he use the hotel internet. Finding out he used the free wi-fi at the resort where he and my mother were staying I knew that the search for a nasty little bug (and I don’t mean a bed bug) was going to take some time and possibly even the help of a professional. How does this work? Simply speaking, you are trying to connect to the wi-fi system in your hotel room. For many that still means a cord (Ethernet) for others it is simply detecting the network of where you are staying. The next step usually involves connecting to the hotel’s network by providing a password at a prompt on screen or on the internet browser window. While you are doing this a screen pops up and says something like “you must update your …. (insert program here) in order to use this system.” A click or two later and your laptop is going to encounter a “bug” or two. We’ve talked before about the dangers of internet use while traveling, especially when it pertains to wi-fi services. Maybe the hotel wi-fi service is “spotty.” Maybe your USB drive is stolen . Maybe your restaurant or coffee shop that you are working from, like Starbucks, experiences a security breach. Avoid putting your computer at risk by using your own hot spot connection. Make sure to put your anti virus and malware programs on high. Avoid third party cookies. Check digital certificates before downloading any software program. Perform updates on your system before you leave and in most cases you shouldn’t have to do one again until after you return home. If you have been a target of a malware “attack” the FBI asks that you report it to IC3’s website at www.IC3.gov. The IC3’s complaint database links complaints together to refer them to the appropriate law enforcement agency for case consideration. The complaint information is also used to identify emerging trends and patterns and to help protect us from every emerging tech type scams. Find out what other steps you can take to keep your computer safe, from Kapersky Labs. Don’t want to lose your Internet services? Then check your DNS for malware. Sound “Greek” to you? Then this statement from the FBI should get your attnetion. As part of a two year long investigation, the FBI arrested and charged six Estonian nationals with running a sophisticated, and fraudulent Internet ring. infect approximately 4 million computers in more than 100 countries. some instances kept the users’ anti-virus software and operating systems from updating, pulling those machines infected by DNSChanger at risk for more malicious software. DNS (Domain Name System) is an Internet service that converts domain names into IP addresses. It’s what causes the computers to “talk” to each other so that you may use your computer to visit a site. Without them you would not have any Internet service including email, social networking or access to websites. Criminals have learned that if they can control a DNS, then they can control where you visit, even sending you to sites that you had no intention of visiting or phony sites set up to shadow a real one and collect information and private data from you. Sometimes those computers that have been subject to DNS malware (software that is malicious) find that that is not the only malware on their computer or hacking its way into their systems. Checking your DNS to make sure that it is safe from malware is important because without it you could lose your Internet services. While it is best and most effectively tested through a computer professional, it is possible to check you DNS yourself for malware. The other forms of malware may be stealing your username and passwords and sending them off for others to use for fraudulent reasons like identity theft, credit cards and even medical treatment. You can visit the FI website to check your DNS and make sure that you continue to have the “all clear” to use the Internet. There are testing sites available in a variety of languages. For those that want to test their systems on their own there is a helpful PDF instruction booklet available that will walk you through the various steps needed to test your DNS no matter what time of system you may be operating. So I did just that. I thought better safe than sorry and while I didn’t consult a professional I did use the site http://www.dcwg.org/detect/ to check my DNS. It was easy, there is no software to download and no looking around to find information that I would need to complete the more intricate steps needed to test my laptop. Actually I didn’t have to do anything but “click” the link provided. Here’s the image you should see and the message =GREEN. Your computer appears to be looking up IP addresses correctly. If your DNS does show malware or suspicious activity the FBI would like to hear from you. Visit their website and file your complaint using this form. You have heard of the saying, “There’s an app for that!” The same could be said for many malware programs and viruses. With the announcement of the death of Maommar Gaddafi and his family being featured prominently in the news there have been reports of links and photos containing dangerous computer viruses and malware coding. “When news like Gaddafi’s death breaks, however, there is no history for them to rely on and malicious links masquerading as news can more easily rank high in search results. Another reason is that people often seek such images from unfamiliar sources. Websites or Twitter messages promise to link to a breaking topic and then lead instead to another site or virus. The Gaddafi photo is a prime candidate for this type of malicious links, so it’s wise to use caution when clicking,” it said. The Twitterverse exploded with messages of photos taken of a shot, wounded or hidden Gaddafi. Other posts across the web talked about his funeral arrangements, his children and their future. There have been reports of cell phone photos taken of the confrontation between two political forces in Libya. PC World reports that “The massive attack that has infected PCs by tricking users into clicking links in fake messages from CNN.com shows little sign of ending soon.” (reported on Friday, Oct. 21,2 011) This version of malware was hidden in the links to “CNN.com Top Ten Lists” and “CNN Alerts: My Custom Alert”, which supposedly featured news and reports of Gaddafi’s demise but directed users that they had to download and install a software program to view. The hackers disguised it as a legitimate CNN site and the malware was contained in what over 11 million searchers thought was an update to Flash Player. After trying the download, users were caught in a hopeless loop requiring them to try to shut down their computer to stop the download before it could complete or download it and try to effect repairs to their system afterwards. The death of Osama bin Laden caused the same sort of interest from hackers, as interested readers flocked to their computers desperate for word or photo of the demise of one of the most wanted people on the planet. What advice can we give to help you avoid malware? If you receive a link, especially one from a friend or family member or an unusual source in your email don’t open it. Look to legitimate news sources for information and photos. Link love is not always so “loving” and is best left avoided. Just weeks after PlayStation’s network break a Lebanese hacker group (Idaho) boasts of breaking into the Sony’s shopping database at ca.eshop.sonyericsson.com/with a “simple sql injection.” In this e-shop users names, user name, credit card information and passwords were released in a massive dump on their Facebook and Twitter pages advising the unscrupulous to access the information contained in the dump in a text file on pastebin. The website is down right now, but just imagine how many 1,000 of people have used this particular website to make their Sony shopping experience more convenient. But they aren’t the only ones to hit the hacker games hard this week. LulzSec hacked into and released the information they found on Sony’s Japanese website data base. This group of hackers may be in it for the “fun” but they are not joking around with who they attack as they also take credit for hacking into the Fox.com login database, including emails and passwords. Then the LulzSec Hack & Leak pointless ATM information also. Customers aren’t the only ones that now doubt the security of Sony’s databases, websites and PlayStation Live systems. According to a recent report by PC Magazine Sony will be testifying at an upcoming House of Representatives privacy hearing, after just months ago refusing to.